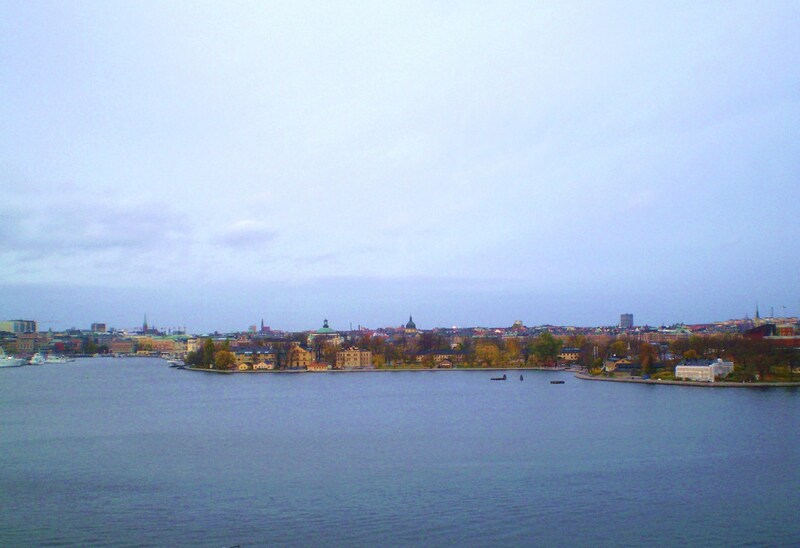 Photo Info: Lotta and Bjorn took me around Stockholm sightseeing. We came here on an overcast day to get a panoramic view of the city. The air was damp but the water smelled fresh. The colorful homes behind us sparkled, there was a ship named Cinderella docked nearby, and for a moment, I felt on top of the Viking World. TravelSupermarket.com is looking for bloggers to publish a blog post with a photo that captures the following 5 colors – Blue, Green, Yellow, White and Red. Tell where the photo was taken, include any other additional information about the moment the photo was taken, what you could see, smell, hear, feel and perhaps a witty caption about that photo or trip in general. Add a link to any past related posts so people can find out more! Initially, when I saw this contest floating around, I was curious but not interested. I’ve traveled, but most of my travel photos tend to include several colors dancing together in a psychedelic trance or sans color. I relented because I realized it would be a great way to revisit and record a few memories of trips taken and share them. So welcome to my colors in five takes! Photo Info: A trip to Munich found me reconnecting with old friends and traveling around Bavaria visiting castles and enjoying the spectacular views. On this day, the weather was chilly but bright. Families milled around the castle taking shots. Behind us, a hang glider flew by and my friends insisted he had waved. All I could think of was how lush and green the terrain was, and what it would be like to bungee jump down to those one of villages. Nominate 5 other bloggers to participate in Capture the Colours. In the post, mention the competition page: http://www.travelsupermarket.com/c/holidays/capture-the-colour/ so others know what Capture the Colour is. Since this is basically the last day of the challenge, I won’t put anyone on the spot by naming five other bloggers to participate. What I would do instead is to invite all of you to enter the contest. If you are interested, and are able to churn out a 5 photo post quickly, follow the guidelines as shown in my block quotes. Best wishes to all the participants. You Rock! Photo Info: On our trip to Japan, a few years ago, my kids and I visited many temples/shrines as part of a cultural tour. 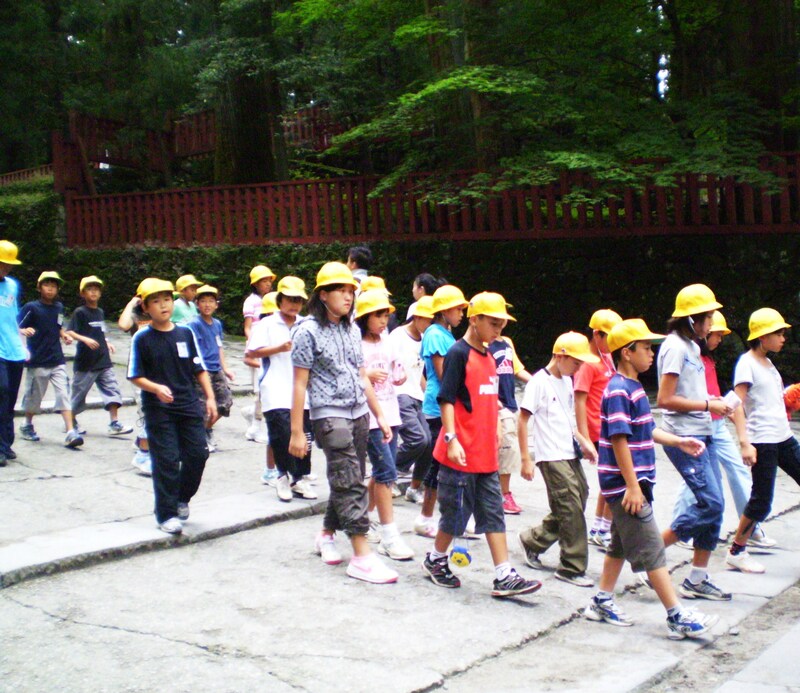 On the day we went to Nikko Tōshō-gū shrine, it was very hot, perhaps in the high 90s, and everyone was sweltering. These kids walked by, cool and calm in their yellow hats, and they were a charming respite from the brutal heat. – Not got a Facebook or Twitter account? Email your entry to capturethecolour@travelsupermarket.com, with your name, email, and phone number. In your post, mention our competition page. If you’ve ever wanted to travel, but felt financially pinched, I’d highly recommend that you start local. Then save and build on those trips. International travel is a great way to truly connect with others on their turf and the memories last a lifetime. Photo Info: On a business trip to Denver, Colorado, my group decided to take a walk during a long break. Since it was a mild spring day, instead of the usual food and chat session, we walked around downtown. 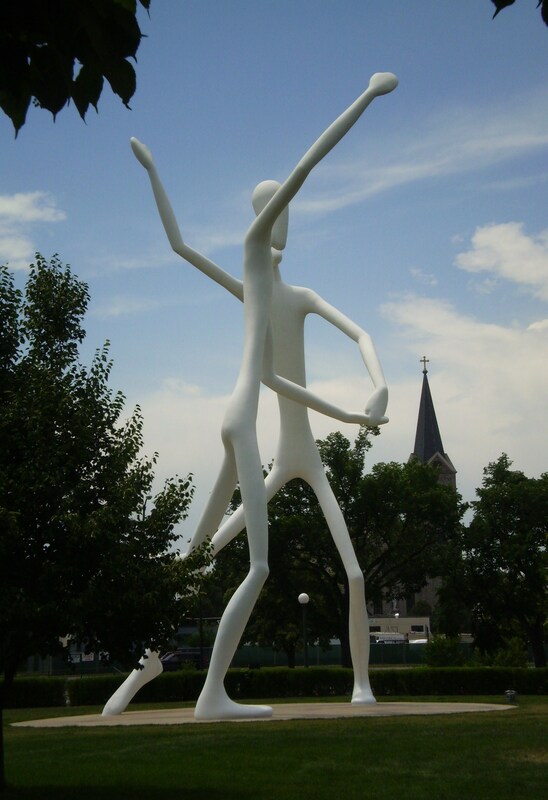 As we approached the theaters of the Denver Performing Arts Complex, between Speer Boulevard and Cherry Creek, we saw these gigantic dancing forms in Sculpture Park. It was breathtaking and I captured the dance. I encourage you to jump in and share your photos for this contest. They could be local/national.international travel shots. Go for it. More below! 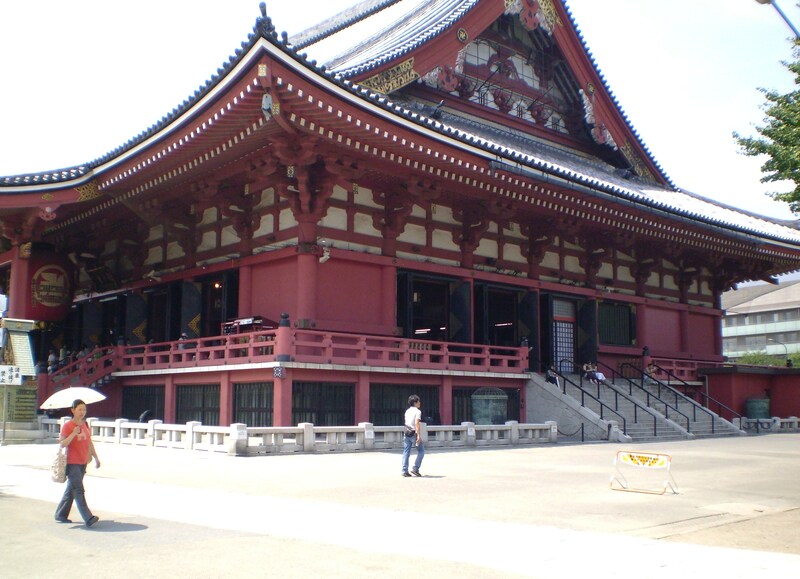 Photo Info: Sensō-ji is Tokyo’s oldest temple and adjacent to a Shinto shrine, the Asakusa Shrine. Our trip to Japan was in the hot summer season and this was one of those record breaking hot days in Tokyo. It seemed astonishing that there were few people milling around outside the temple. But, after a few minutes in the heat, we understood why people weren’t outside; we headed to the shade and the comfort of other nearby temples too. Positive Motivation Tip:When we travel, we are exposed to people, places and colors that leave an indelible mark in our minds and heart. To travel is to learn, live and grow. Plus, we never fully know where life would lead us… Travel and let the rest unfold. I so enjoyed your travels! What a great way to learn about others’ culture and seeing how we all connect. Now that I’m retired we will be able to focus on travel. Nice post–what nice memories you must have of these places. Like how you’ve captured the colors of your travels, Elizabeth. Brava! Great job – I love the white sculpture!!! And thanks for the pingback, too!! You can see a lot of them on the travelsupermarket.com facebook page – box in the upper right corner. Very cool! Beautiful entry! I did this contact a few months ago and really enjoyed it. I love seek what other bloggers come up with as well. I especially like the white and green ones. My husband proposed to me at mad Ludvigs castle in Schangua over looking the castle from above. That dancing sculpture is incredible! Great post – thank you. You always have the perfect photo’s, glad I did not have to do this one…it would be so hard. Great job Eliz!!! Very nice photos and all-round nice post. Best of lucks in the competition! A post that captures the true essence of colors and what it does into our lives. beautiful post my friend. Your are blessed to have travelled to these places and embrace the gifts of each journey. Thanks. Nikko is a famous tourist spot, as you know. I visited there when I was a child. Love the photos! 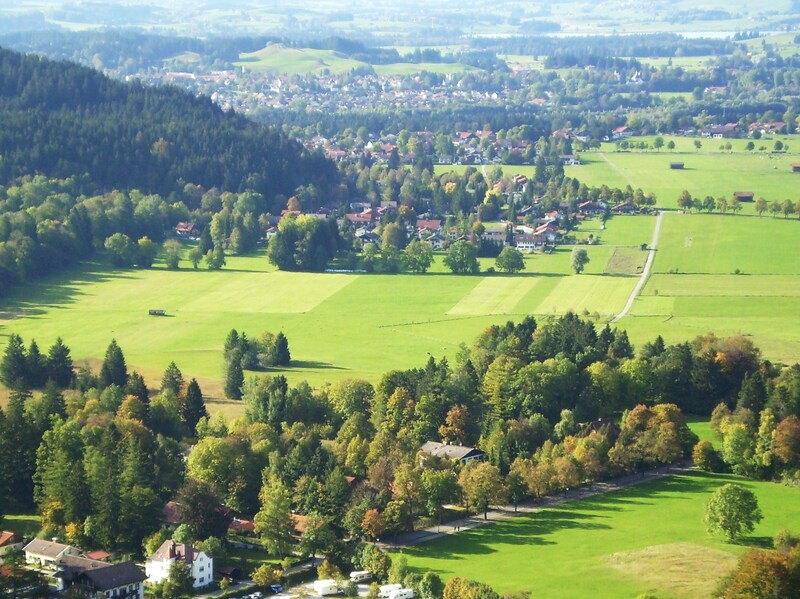 Love the Bavaria Region, I felt the nature of greens. Outstanding collection of travel photos, concentrating on the primary colors and the presence of all color in the WHITE one. Also very pleased with the secondary color GREEN one! They are all great, love Bavaria! I really think you are the most travelled person I have ever met! I love that Bavaria Region photo. It is so green it reminds me of New Zealand. Oh, so beautiful of the places you have discovered and I love your travel tip for the financially strapped folks…there is lots to see in our home state! Thanks!! Great photos. Great places. We too love to travel. On fact, we’ve been moving around quite a bit these last few days! Beautiful and varied selection Eliz! Good luck with the challenge! Great examples! I just love the color and architecture of the Japanese temple in Tokyo. Love the dancers sculpture! I will check out the Capture the Colors contest. That one sounds fun! Then again, it may be way too late since I see numerous comments that are many months old in posting.